I love non-fiction picture books. They are such a brilliant way to engage young readers with all the fascinating facts that form our wonderful world. And this book is a great example of a non-fiction picture book done well. Each page explodes with astounding facts and incredible artwork. It's fun, fascinating and frickin' awesome! 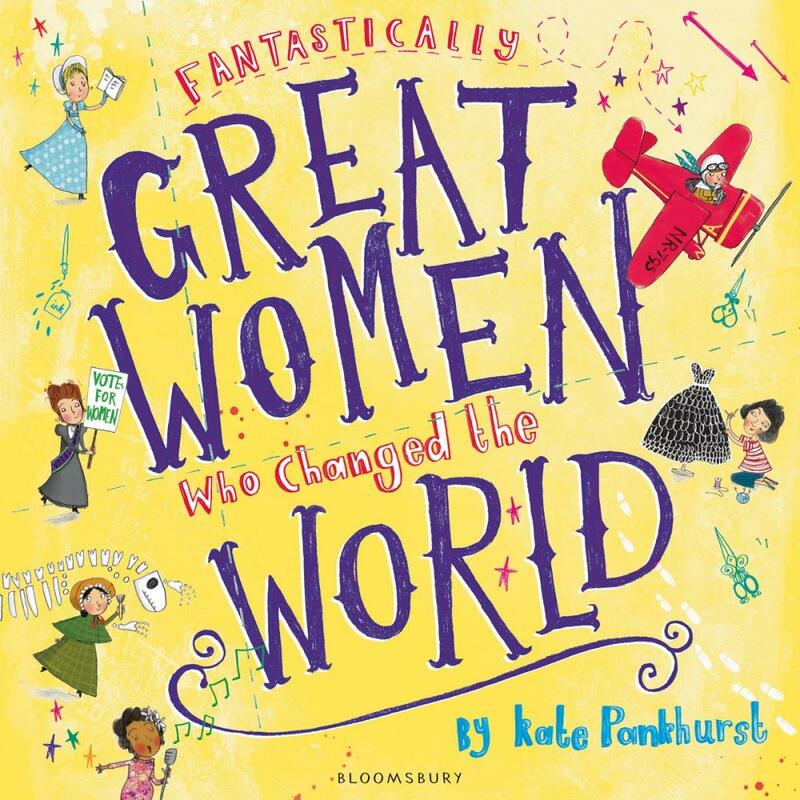 Kate Pankhurst has drawn from all aspects of life to collect her 'great women who changed the world'. There's Jane Austen, who wasn't even allowed to tell people she was an author when her first book was published. Why? Because in Britain in 1811 people didn't feel it was acceptable for a woman to have a job! Then there's Gertrude Ederle, who became the first woman to swim the English Channel in 1926. Her first attempt, in 1925, had failed due to bad weather, and people weren't confident she'd make it this time, especially as she chose to use freestyle instead of breaststroke (which the experts recommended). Not only did she succeed, she did so in a time two hours faster than any man had achieved. Most of us have probably heard of Coco Chanel, the French fashion designer, but did you know she was the first person to launch a range of pyjamas for women? Until 1918, they were only worn by men. I could go on and on giving examples of the impact each of the women in this book made in their own way, but I won't. Instead, I'll encourage you and your children to find out for yourselves how Frida Kahlo, Marie Curie, Mary Anning, Mrs Seacole, Amelia Earheart, Agent Fifi, Sacagawea, Emmeline Pankhurst, Rosa Parks and Anne Frank changed our world.